DEVELOPMENT OPPORTUNITY or BUILD TO SUIT in LOUDOUN COUNTY!... RAW LAND - WOODED LAND PARCEL(S) 2 LOTS STILL AVAILABLE- GOING FAST! 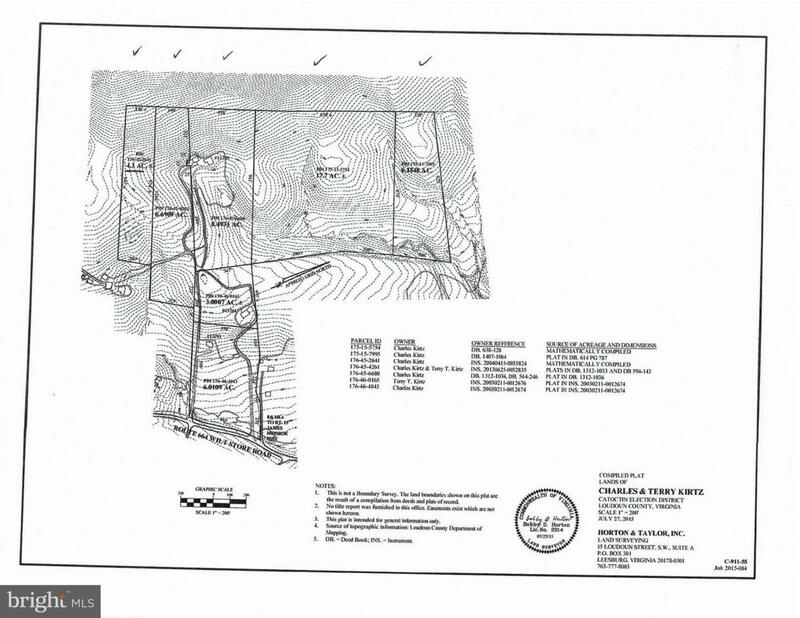 ( 3rd Parcel with 1820's LOG HOME "rehab potential" on 8.49ac ...also see 1002041190.) -THIS LISTING is 4.3 ac. -and is in FORESTRY LAND USE! TOTAL ACRES if all 3 parcels purchased together is approx. 19.48 Acres. Parcels are listed and sold separately or.. BUNDLE for BETTER PRICING and/or for MORE PRIVACY! Call for more info. Seller not responsible for roll back taxes on participating parcels. COMMUTERS- MARC TRAIN 10 MINS AWAY!